Suncorp is making a bid to take over Tower, putting more cash on the table than the Canadian giant that Tower has agreed to sell all its shares to. It has announced its wholly owned subsidiary, Vero Insurance New Zealand, has bought 11.14% of Tower’s shares and has made a non-binding indicative proposal to buy the rest for $1.30 each. Suncorp’s move comes as Tower awaits shareholder and regulatory approval to sell 100% of its shares to Fairfax Financial Holdings for $1.17 each. Tower on February 9 announced it had entered into a ‘Scheme Implementation Agreement’ with the company dubbed ‘Canada’s Berkshire Hathaway’. While this deal is worth $197 million, interest.co.nz understands Suncorp is proposing to pay $219 million to acquire the New Zealand insurer. Tower's agreement with Fairfax stipulates it would have to pay a break fee of $1.97 million if it was to pull out of the deal. Tower shares were worth 79 cents before Fairfax’s takeover bid was announced. They jumped to $1.30 by mid-morning, and hit $1.325 by market close. Suncorp New Zealand CEO Paul Smeaton says the proposed acquisition of Tower “provides an opportunity to strengthen Suncorp New Zealand’s strategic position in the highly competitive New Zealand insurance market”. Suncorp sells its general and life insurance products through the brands Vero Insurance, Asteron Life and Autosure. It also has joint venture partnerships to sell its products direct through AA Life and AA Insurance. Together, Vero and AA Insurance have a 25% share of New Zealand's general insurance market. If Suncorp was to get Commerce Commission approval to buy Tower, it would have a 30% share of the market. With Insurance Australia Group (IAG) holding a 46% share, this would further concentrate the general insurance market in New Zealand and see 76% of it dominated by two Australian giants. The Commerce Commission in 2014 gave IAG the green light to buy Lumley, lifting IAG's share in the market by around 9%. Smeaton says: “The proposed acquisition supports our vision to be the number one choice for New Zealanders and our strategy to connect customers to products, services and experiences that enhance and protect their financial wellbeing. 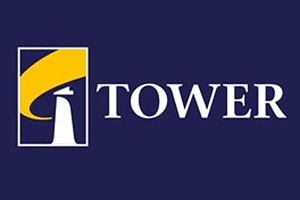 Tower Chairman Michael Stiassny says: “Tower and its advisers are considering the Suncorp proposal, and working through obligations with respect to the Scheme Implementation Agreement with Fairfax Financial Holdings Limited. Earlier in the morning Stiassny advised shareholders not to sell their shares until the Board had fully reviewed the offer and made a further announcement. The Board also reiterates that “Tower insurance policies and the rights of policy holders remain unaffected. All policies and rights will remain with Tower Insurance Limited (or relevant Pacific Island subsidiaries) in the event of a change in ownership of Tower Limited”. So the shareholders will gain, one way or the other but noting is said about how outstanding Earthquake claimants might emerge from all this throwing money about. The real question is therefore will either of these suitors recapitalise Tower to the extent that is needed, in order to pay those who are now still waiting for their claims to be settled, six years on from the Feb 2011 Earthquake, and even longer since the Sept event. Any purchaser of Tower shares, buys both the assets AND THE LIABILITIES and this involves long-outstanding claims and the lives of clients. Does the current benevelence of suitors extend to those pepole too ? Tower reports these are about 600 in that category. I doubt we will have to wait too long for your questions to be answered. If I were an earthquake claimant I'd prefer the Suncorp deal as it delivers a known quantity. You are probably right on that as far as claimants are concerned. However as Suncorp is large enough to absorb the entire Tower operation within its own without having to add onto the house so to speak, then that would not bode well for Tower staff & their agents, the board members too one would imagine. Believe the dreadful, punitive and cynical performance by Tower in handling its EQ claims has been mostly borne out of the necessity of a survival mode mentality. The longer claims can be denied and reduced, the better the chance of keeping your job perhaps. Looks likes those concerned will now lose out anyway. Obviously, to be consistent with self interest, the chairman and staff will be rooting for Fairfax.However at the end of the day the biggest winner might well be the NZ tax payer with the prospects of another Sthn Response now looking rather remote. So the carcass is to be fought over. One wonders though, just how rotten the carcass might actually be!